Designated one of the 40 "Last Great Places" by the Nature Conservancy, the Lower Connecticut River Valley is a wonderful region to see and explore. Experience the many scenic wonders and active pursuits detailed below, and be sure to ask our innkeeper for advice or assistance with reservations. We're here to ensure that you thoroughly enjoy your visit to our magnificent corner of New England. Each winter as the temperature dips below freezing, Bald Eagles from as far north as Canada make their way to the open waters of the Connecticut River for easy fishing and nesting. Learn their amazing comeback story while getting a unique on-water view aboard CT River Expedition’s 64 ft RiverQuest, a modern, environmentally friendly vessel with heated cabin and ample deck space. A naturalist provides guided narration while free coffee and use of binoculars is also included. Plus, free admission to all Museum galleries featuring the Eagles of Essex exhibit is also included. Located at Steamboat Dock at the foot of Main St. Permanent and changing exhibits about the maritime, cultural, and economic history of the Connecticut River Valley dating from the early 17th century. Preservation of the history of Essex since the settlement in 1648. 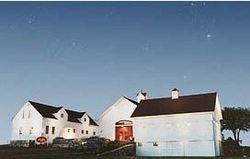 Established in 1946 and housed in a former meeting house circa 1837. Venue for professional artists, amateurs, and students to display and sell their art. The 19th century home of the Old Lyme Art Colony and American Impressionism. Showcase for the region’s finest representational artists. Founded in 1842 featuring collections of American and European paintings, sculpture and decorative arts. Founded in 1825 and having one of the most impressive and extensive collections of 17th and 18th century furniture, textiles and costumes, portraits and paintings, and decorative arts. Year round productions of professional theater since 1911. Less than a mile from the Copper Beech Inn. World-renowned productions of musicals in a 19th century theater on the banks of the Connecticut River in East Haddam. Katharine Hepburn Cultural Arts Center "The Kate"
A variety of productions including opera, dance, comedy, drama, and classics. 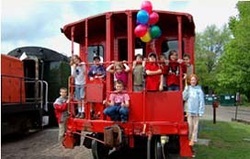 A 12 mile round-trip scenic ride on a vintage railroad and a cruise on the riverboat"Becky Thatcher". Maritime village with authentic 19th century ships and historic homes on the Mystic River in Mystic. Home to over six thousand species with 49 living exhibits and a marine theater. Hilltop Stone Mansion overlooking the Connecticut River. Built by William Gillette in 1919. Gillette was a stage actor most noted for portraying Sherlock Holmes for many years in New York. Located in Hadlyme. A short ride on the Chester Ferry (in season) is an interesting approach and a great view of the mansion from the river. A picturesque riverside town with an eclectic medley of boutiques, clothing shops, gift shops, art galleries, antique shops, eateries, marinas, and an inviting town green on Middle Cove to enjoy the ambience of the town. A whimsical town with a quaint selection of clothing shops, antique shops, art galleries, craft studios, and restaurants. On the eastern bank of the Connecticut River and Long Island Sound. Location of the Florence Griswold Museum, home of American Impressionism. Art galleries, shops, restaurants. A shoreline village with multiple beach communities and marinas. Located at the mouth of the Connecticut River and Long Island Sound. Home to the new Katharine Hepburn Cultural Arts Center, numerous national and smaller retailers and restaurants. 18 holes with restaurant and bar overlooking the course. 18 holes with restaurant and pro shop. 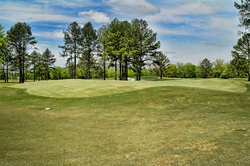 PGA rated Robert Trent Jones 36-hole course and 18-hole Gary Player course. Family-oriented venue for day trips to visit the orchards and restaurant. 9-hole course located on Long Island Sound in borough of Fenwick in Old Saybrook. Scenic with Nantucket-style country mansions throughout the course.